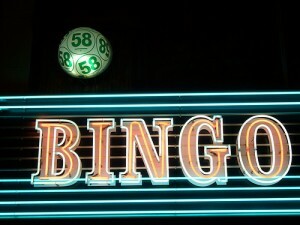 The online bingo industry has been one of the most spectacular, and yet unexpected, successes of the internet era. Just twenty years ago the game was confined to schools and church halls, and a number of the bingo halls around the country were being closed down. Now it’s one of the most popular games in the world, almost entirely fuelled by the online game. Identifying root causes for this success is difficult, although most marketing experts agree that the industry has been remarkably good at advertising itself through the likes of special bingo bonuses that are common with sites like Costa Bingo. These attract players because they give the opportunity to win money without actually risking any of their own cash. So what else do we know about the online bingo community? Despite the success of bingo bonuses and advertisements they’re noticeably not driven by money with winning being cited as only the 5th most important reason for them playing the game. This has led some observers to suggest that online bingo players are originally drawn in by curiosity and the idea of winning money but that after a while other factors become more important in their playing. The biggest of these is, undeniably, the social side of the game. Chatrooms make up a vibrant and important part of each bingo website, and the wider online community works hard to promote the game, and to keep it safe by running watchdog schemes that highlight rogue sites. Research suggests that many online bingo players come from similar demographics, 85% are female, 30% are under thirty (although most are between 40 and 50), the vast majority have young children and come from households with similar annual income. That said, those statistics could be said to be more like a snapshot of Britain in general rather than any particular industry. Another factor given for the popularity of the game is that it’s accessible to everyone. Although some people argue that there is a strategy behind the game, most people agree that anyone can play, and, as 96% of online bingo players have won at some point, anyone can win. The average game also takes only 4 to 5 minutes, so it’s not time consuming and you can dip in and out at will. Whatever the reasons, bingo is growing rapidly and the popularity doesn’t look set to disappear any time soon, in the second half of this article we’ll look at some of the more unusual facts about online bingo and try and predict what’s going to happen in the next few years. Comments & Feedback on "All About Online Bingo: Part 1"